Our Brazilian natural hair extensions feature virgin Brazilian hair. Virgin Brazilian hair is pure and free from chemical processing of any kind. It comes from a single donor and can be styled in any way you would your own natural hair. 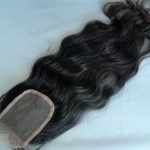 Brazilian hair is thick, lustrous and naturally smooth. With our Brazilian hair extensions, you’re truly starting off with a blank canvas, which will allow you to achieve the style you’ve always wanted. Brazilian hair is soft and long lasting. The natural smoothness can be felt just by running your fingers through the hair. As with all of our extensions, they are meticulously put together. All of the cuticles are healthy and intact. They all run the same direction to help prevent tangling and matting. 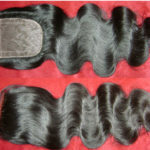 Brazilian natural hair extensions are naturally black and have a medium to low luster.